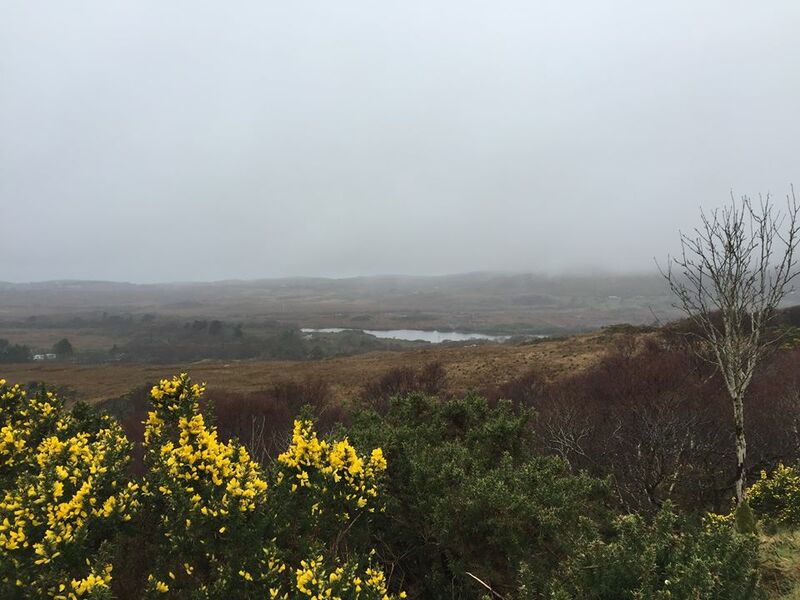 Many of my holidays are inspired by movies and my jaunt to Ireland was no different. 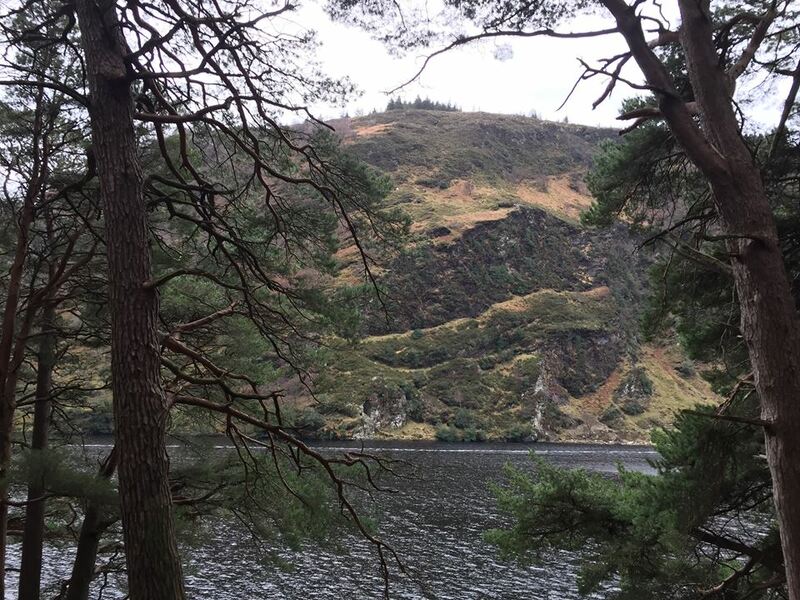 Having fallen in love with Ireland by watching Leap Year, the 2010 Amy Adams movie, I wanted to walk in her footsteps along the lakes and mountains that featured so prominently. It looked like such a beautiful country. Wherever we were (and we travelled around), we were just constantly struck by how beautiful the landscape was. Every twist and turn lent itself to a striking new view. The countries Fair City has grown massively over the last 10 years with investment in the city by large companies like Facebook and Google. As such, the landscape has and is changing considerably. Glass and steel constructions sit commonly aside hotel and restaurant chains within the business district (on the airport side), but head into the main hub of the city (particularly around Temple Bar), and the sites are still very Georgian. With cobbled streets, red bricked buildings, wrought iron gates and classical lamp lighting; it’s otherworldly and charming. Like most cities, you’ve a plethora of food and drink around every corner, and, like most cities, you’ll pay through the nose for this privilege. 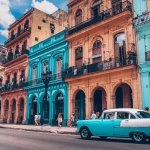 You can reduce your costs down though by searching for Groupon deals, lunchtime offers and taking advantage of the reputable bakeries and salad bars during the day, splashing out on and basking in the fine dining offering at night. 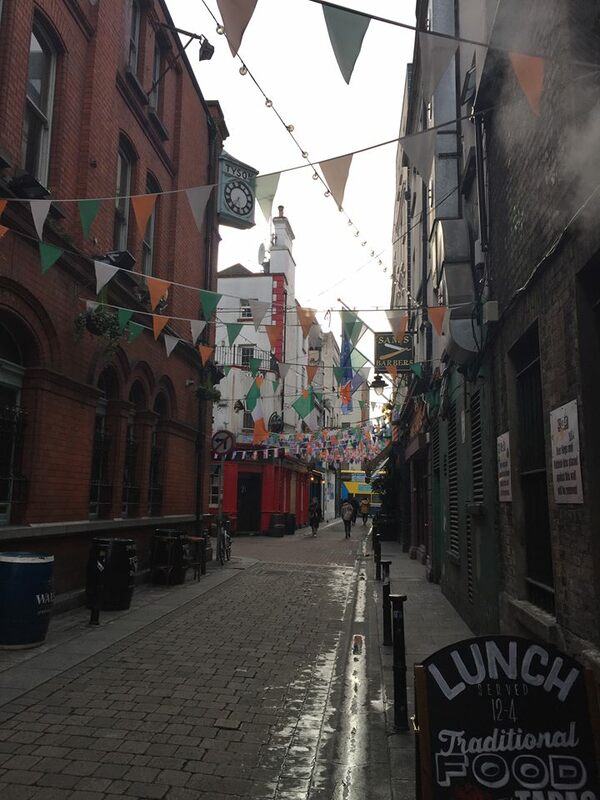 If you’re looking for a sense of ‘traditional’ Ireland, you’ll find ‘sessions’ taking place Monday- Sunday in temple bar; though if you’re looking for ‘authentic’ Ireland, Camden Street is apparently where you’ll get it- as is the bar Whelan’s, that featured in P.S. I Love You- along this street we stumbled upon a show of up and coming bands for 2019; you’ve no idea what you could be discovering here. Although the Guinness and Jameson’s tours are interesting, allow time to explore the many beautiful parks and galleries (all free) too. 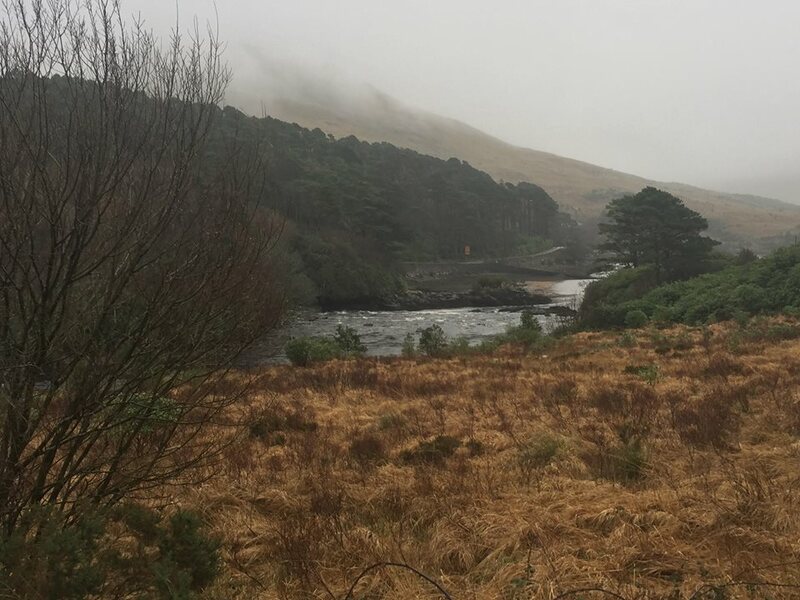 Dublin is a beautiful city, but the beauty of Ireland really opens up to you when you get out of the city. 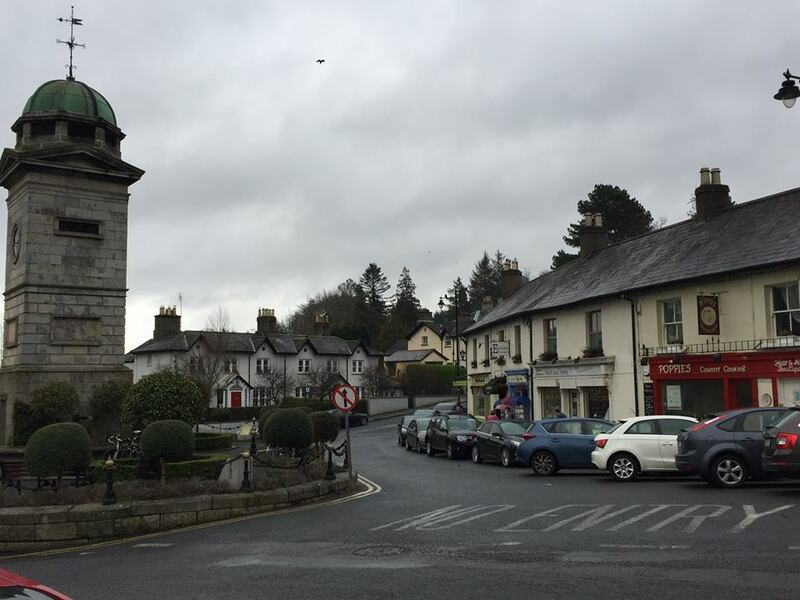 Is home to a quaint little village of Enniskerry, south of Dublin, that is also home to the Powerscourt waterfall (the tallest waterfall in Ireland), the Wicklow mountains, Glendalough, and Lough Tay. 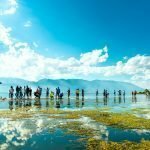 Each destination offering a beautiful landscape that you could stare at for days on end. The village itself is the destination that Anna & Declan (the characters from Leap Year) await the bus to Dublin, and it is in Poppies that they collect their tickets and coffee- they do the best fruit scones and a delectable broken biscuit cake by the way. Sit a while and enjoy a cuppa with a forestry background and chimney pluming smoke from near-by homes as your back drop. 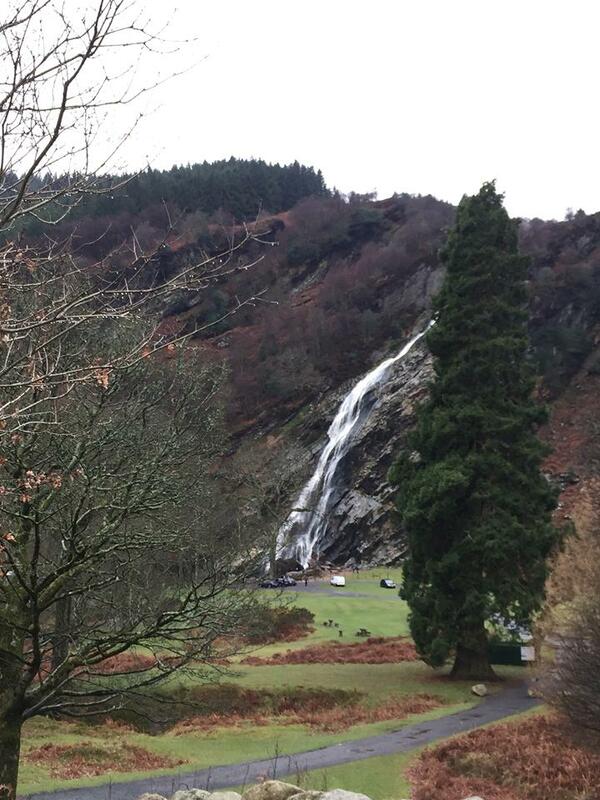 The Powerscourt Waterfall (you’ll pay €6 per person to get in) is a beautiful site to see and you can trek around the vicinity of the park to see it from different heights and angles; they also have a cute wooden play area for little ones and picnic benches with a gorgeous direct view for lunch, allowing you to make quite a day of it. Commonly known as the Guinness Lake (being set in the Guinness estate), really is a sight to behold. 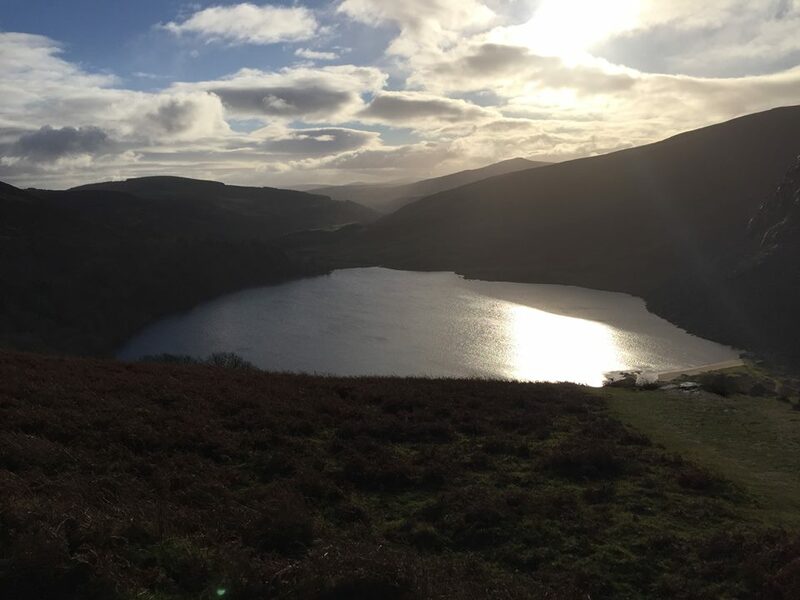 Nestled within the Wicklow mountains, the lake and surrounding mountainside is breath-taking; regardless of season, time of day or weather, you’re sure to be offered an astounding site. Sadly, the lake itself is inaccessible as it sits in private property, even still, it’s worth a visit. For me, the journey to the recommended parking site prickled my eyes with tears as I was blown away by its magnitude. Being able to see it from above was even a huge pleasure. 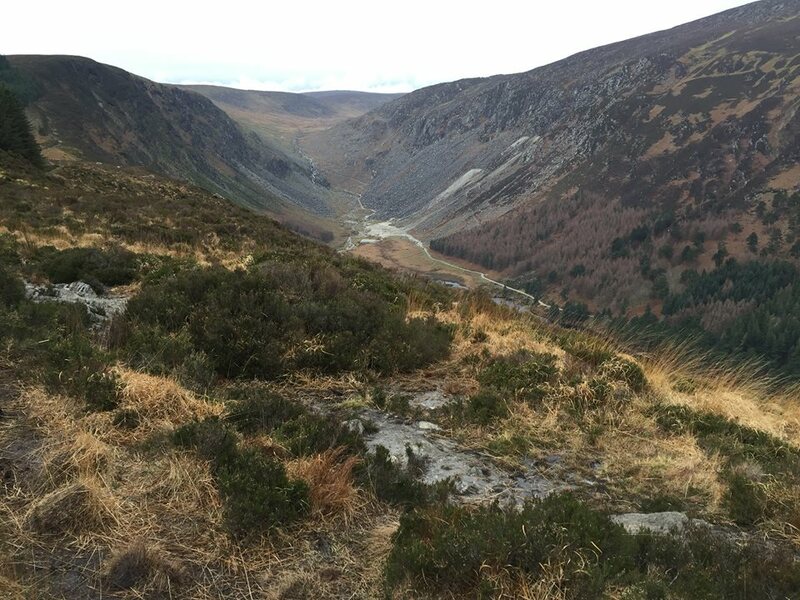 One of my favourite hikes throughout the entire journey was that down at Glendalough; allow plenty of time to explore this site as there is so many different terrains and routes that you can take to be afforded a view of this beautiful landscape from within the woods, the mountains, lakes and a small river. You’ll need to be sure you’re well prepared for weather though; walking boots are essential as is a waterproof, compass and water. If you’re looking to go, I’d recommend that you take the left side of the lake first, hike up into the mountains and travel over the edge alongside the lake from above, following the curve of the lake until you follow the path back to the carpark from the right-hand side of the lake. It’ll take a few hours to conquer, especially if you stop and admire the astounding views from various angles, but it is very much worth it. For accommodation, I’d recommend The Meetings. It’s by no means the most lavish accommodation in the world but I’d bet it would be one of the most hospitable. They offered a comfortable mattress, pillows and clean linens, the shower was small but powerful and refreshing (and super clean! ), and the breakfast the next morning was delightful, as was the view that surrounds this very unique property. 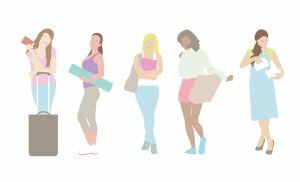 Essentially, you’d be hard pressed to find something as highly rated, comfortable and with breakfast for the incredible price they package it in at. It’s nothing to sing home about, sorry Ed Sheeran, but for us Galway was a simple city on the harbour. But we didn’t go to Galway to specifically see Galway. It happened to be an ideal location for us when we were heading to the Aran Islands the following morning. However, our hotel was a welcome treat (Menlo Park Hotel– great service, great accommodation- so comfortable and inviting and at an exceptional price) as was a dinner at O’Grady’s on the pier. The Michelin recommended restaurant was well worth the 20-minute journey out of Galway to go to. It had the perfect ambiance for a romantic meal for two, with dim candle and firelight in the main restaurant, and a view of the moonlight dancing on the sea outside. The cuisine was fresh, flavourful and simply divine and was genuinely gutted I couldn’t eat it all and stay for dessert. Best known, and praised for their seafood selection, O’Grady’s offer a plethora of fish for starters and for mains a whole range of meat dishes; the beef falling from the fork where it was so tender. 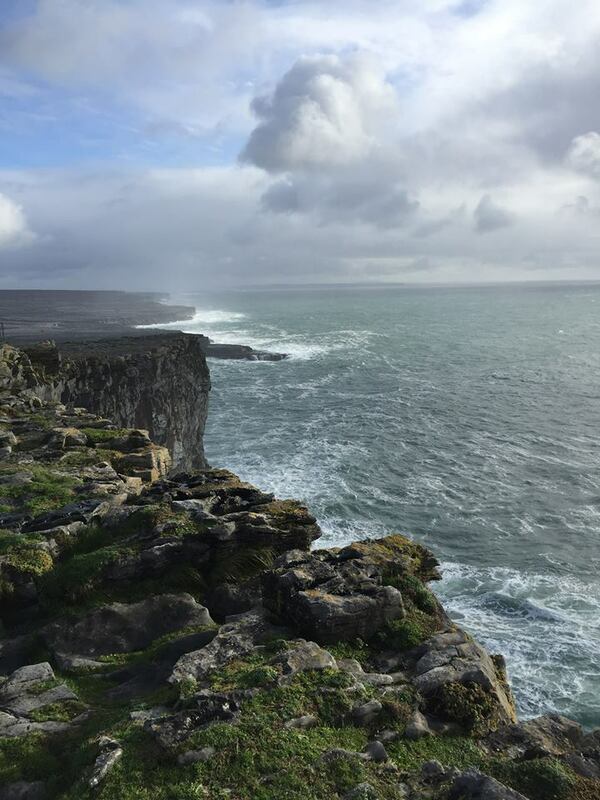 The Aran Islands is a group of three islands off the coast of Galway most known for their striking and jagged cliff edges as well as the miles of stone wall and ancient ruins. On this trip, we paid visit to Inishmore, the largest of the three islands with a total population of 820, that is 2.36 miles wide and 8.7 miles long. 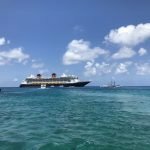 Impossible to walk in a day and appreciate what this incredible island offers, but it is possible to explore it all if you go along in a tour. Top of the list should be a visit to Dun Aonghasa – the cliff edge that looks out into the vast and majestic Atlantic Ocean. A visit to the Onaught jetty was also a personal highlight where on a stormy day the high waves were smashing against the rocks in the distance, a quaint lighthouse was just on the peripheral and you’re at a point where there is nothing more between you and America but vast ocean. Teach Nan Phaidi is where you want to go for some homemade comforts among a roaring fire after bracing the rocky cliff edges. As for tour operators, we couldn’t recommend Failte Bus (and Gerald) highly enough. He showed us the key sites in the area, was full of knowledge of the island (they throw a Father Ted party annually! ), which he was quite happy to share with us, answer any questions we had, and of course allowed us to stop for photos as and when we wanted to. We weren’t so lucky with the weather on this day of our break which meant that we couldn’t complete our hike at the national park due to fog and low cloud. Although we weren’t offered the full extent of the view that is usually available; we were pretty lucky (before it came down heavy) to have seen a great deal of it. But even the drive to and from the national park was just as spectacular and absolutely worth the trip, with Killary Fjord and The Doolough Pass as particular highlights of mine. When it comes to food, you MUST book a table at The House of Plates in Castlebar. Their concept is small and sharing plates of locally sourced and fresh produce- already sounds heavenly right? Order a few dishes from the land, sea and/or earth menu and a couple of sides to complement, and simple share your dishes with your group. Every dish and every mouthful were simply divine from start to finish; I felt full and satisfied without being overstuffed and allowed me to sample the incredible sticky toffee pudding from the dessert menu. It was an incredibly scrummy and satisfying meal that we’re still recounting weeks after- seriously, go! That pretty much sums up a weeks’ vacation to Ireland. And what an incredible week it was. Although visiting in January would seem like a pretty bad idea, as long as you’ve got thermals and layers, and a good pair of walking boots and waterproofs, you’re guaranteed to have a wonderful time. Plenty of fresh air, gorgeous and breath-taking sites to behold and some incredible food and hospitality just waiting to be sampled too.